The Census Nazis are coming. The 2013 New Zealand Census Nazis are coming to crush the Spirit of Liberty and justice. Nineteen Northlanders in the firing line. Northlanders who did not fill out their Census forms are waiting to see if they are among 100 people nationally who are being prosecuted. Statistics NZ has already released the first results from the 2013 Census, publishing population counts and electoral population numbers. But the agency is now cracking down on those who did not fill out their census forms and has confirmed that 19 Northlanders are among the 100 people to be prosecuted. Those being prosecuted have not been issued with a summons yet. The documents are now with Crown Law solicitor offices in each region and they will be lodging the papers with the courts. 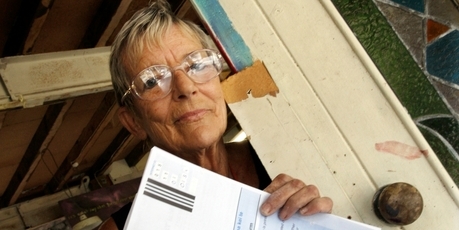 One Northlander waiting to see if she will be taken before the courts is Libertarianz Northland coordinator Helen Hughes, who held a party on Census day, March 5, to “responsibly” destroy her form, along with others opposed to the information gathering exercise. Read more >>> here <<< Yes... 100 Kiwi Individuals are about to be summoned before the Nazi Courts for the crime of refusing to fill out their compulsory census forms as demanded by State Dictate. Many of these are people of principle who utterly refused to fill out any part of the forms claiming the States demands violate their rights to privacy. Others did not fill them out to the satisfaction of the State. One wonders how these Summons will be delivered to Us Conscientious Objectors considering we didn't fill out our names and addresses on our census forms? How on Earth will the State Know who we are or where we live???? Oh they already have that information!... thus exposing what a travesty this whole process of Prosecution really is! Its not that they need such information.... it that they need us all to abandon any belief in our own rights and liberties, and to submit to their tyrannical demands like good Slaves! Of course all the spineless slaves whom have already bent their knee will enjoy the spectacle of us 'pesky whackos' being punished for refusing to do as we were bloody well told! Of course picking only 100 people is a Machiavellian tactical ploy on the part of a vicious Socialist state as this is a big enough number to cause fear, but small enough to make it difficult for us to rally a large number of People in Protest. Yes The Sheepish millions will not be too bothered by our plight. They wont bother themselves protesting against our oppression by the government for our sakes… and will pretend that this issue has nothing to do with them… even though we Conscientious objectors are standing up for everyone’s rights! The Machiavellians can rely on the Apathy of the sheeple… whom will not care that 100 little people are trodden underfoot. All this in an Era when many western Nations are abandoning having a Census because they are a Gross waste of Time and Tax money. This just makes the Tyranny here in New Zealand that much more insane… that much more unbearable. Please Contact me if you are one of the unfortunate few… of the thousands whom told the government to Bugger off and mind their own business. Read more>>> I Am Not A Number! Protesting against the Census. I could be wrong but I expect that they will go after the easy cases – those that they can easily prove refused to fill in the forms, people that have signed a confession (Tim?) and can’t make a defense in court. I never had any intention of lying or making lame excuses Reed. 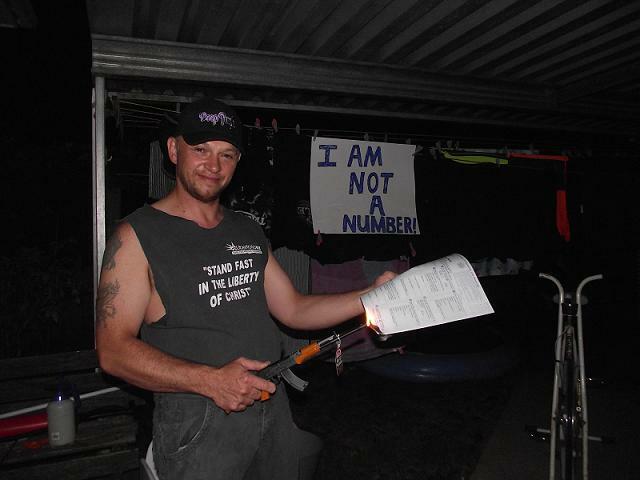 I burned my Census because I am not a Socialist slave. If eventually I do end up filling it out It will be out of Duress and not first without kicking up a stink. I could be wrong but I think that the police have a list of difficult cases – those whom it is more trouble than it’s worth to prosecute. Tim, did you give them a confession ? Richard, surely any case where there is a confession will be easy to prosecute . Yes. I consciously refused to fill it in and I gave them my reasons. I have wilfully disobeyed them., and called them Criminals.